While watching the movie Maleficent, I detected a few similarities between the dark fairy Maleficent and myself. Then I wondered whether it’s Angelina Jolie and I who share mutual traits. Yet, I’m still looking for my Brat Pitt. And while I was looking for my Brat, I found Nova the Bully. 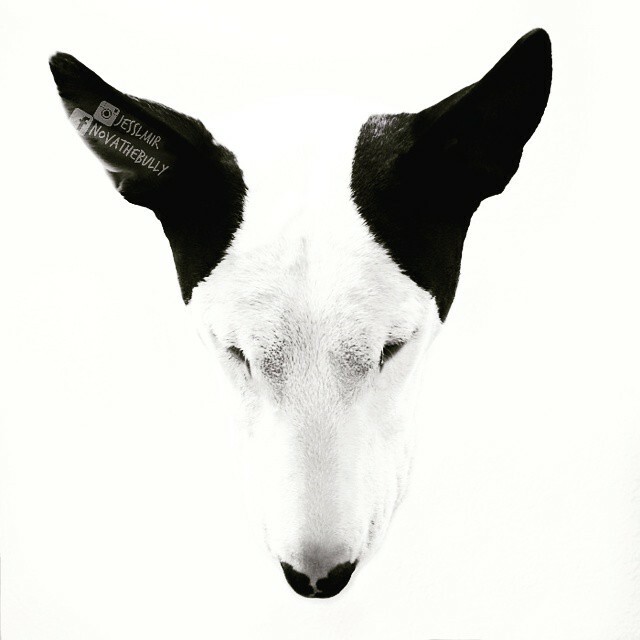 Nova, the English Bull Terrier, is the bulldog incarnation of Maleficent. The compiled image below is the ultimate proof that Nova looks just like Maleficent and that my Photoshop skills are on point. Luckily, the story of his life has been much more delightful than the one of Maleficent in the fairy tale. The spoiled and happy pup Nova who lives with his family in Denver, has a thing for days. His favorite day is Friday. Friday always puts a smile on his face. Monday is number 1 on Nova’s least favorite days list. But they still talk on the phone occasionally. Nova loves to share a smile. Even when life gives him rainy days, he plays in the puddle. Of course, as his Momager, she has no choice but to say flattering things about her gorgeous stud. But here is some unbiased opinions from his friends and fans. I assume the comment “Call me sometimes, Nova” is from Monday. 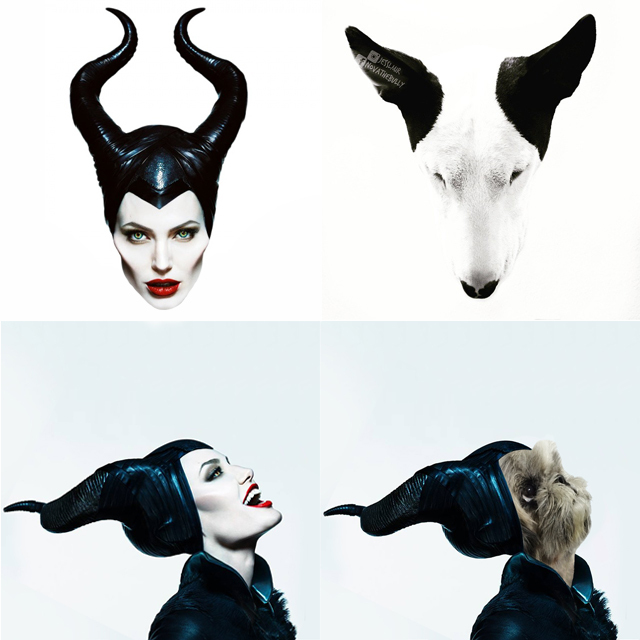 Take a look for yourself and visit @jesslmir aka the other Maleficent on Instagram.